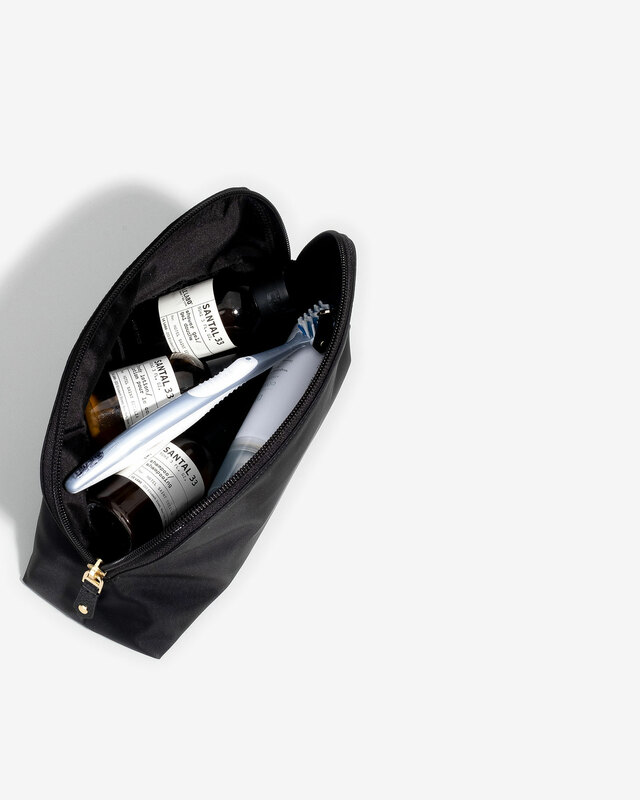 The Hook & Albert Women's Toiletry Bag is designed to keep your toiletries and other personal care items organized while you are on your next excursion. Constructed of durable, moisture proof nylon, this bag is sleek and easy to keep clean. A perfect fit for travel-sized items, makeup, and brushes, the toiletry bag features 2 organizational compartments and an interior zippered pocket. With convenience in mind, the bag is designed to stand on its own, always keeping your items easily accessible. Measures: 10" x 6.25" x 3.75"
Our durable water-resistant fabric will keep your toiletry bag looking brand new for years to come. Fold the bag completely flat when not in use to save space. Includes one zippered pocket plus two elastic pockets for all of your smaller essentials. 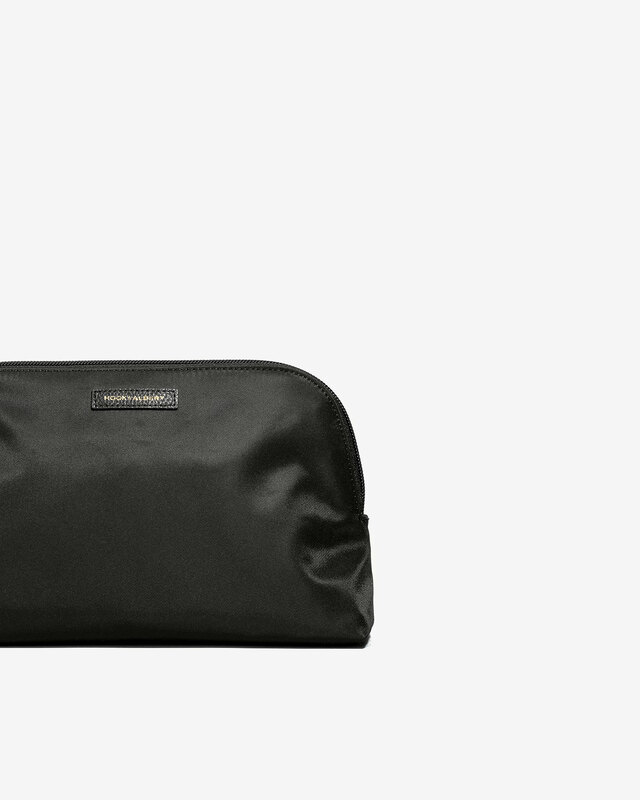 Designed by women for women to be the perfect size for your travel toiletry essentials.